Knowing a patient’s vital signs tells a clinician a lot about them. Get an overview of temperature, blood pressure, pulse and respiration rate, and a clinician gets valuable data on whether they’re healthy, feverish, recovering well from surgery, or in danger of an adverse event like heart attack or fainting. A record of vital signs over time tells ever more, letting clinicians know whether their condition is stable, changing gradually, or in dramatic decline. 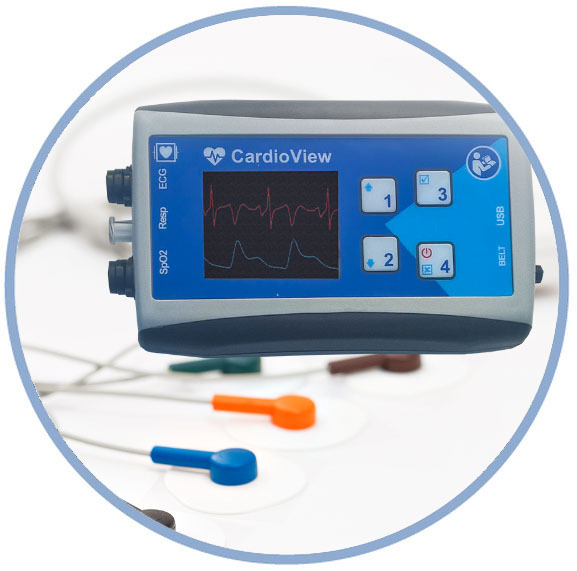 The CardioView system provides all this information in one easy-to-use app. It eliminates the need to visit patients just to check vital signs, and ensures that when a clinician arrives in a patient’s room, they’re already equipped with all the basic info they need—so time with patients can be more efficiently spent probing deeply into their condition and symptoms. How does our system work? 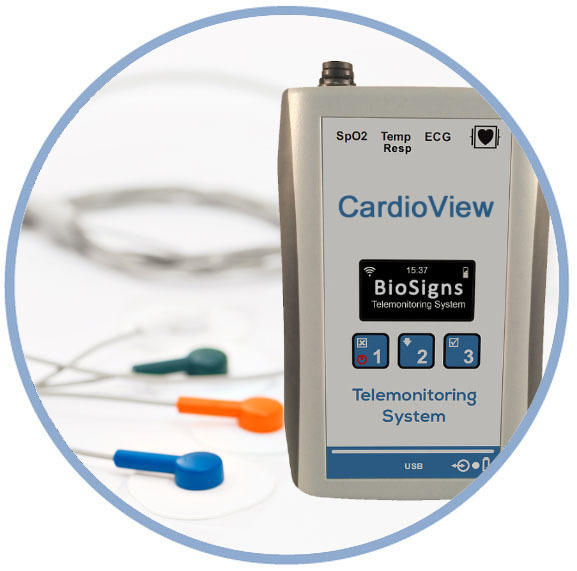 A comfortable, noninvasive device is hooked up to the patient and transmits data to the CardioView server in real time using Wi-Fi or 3G. From there, it can be accessed from our intuitive PC Software and smartphone apps. Problems like sleep apnea are among the most underdiagnosed in medicine. Patients are unconscious while snoring or breathing problems occur, and doctors can’t see them in a routine office visit. This makes testing especially important to diagnosis and treatment. But having tests performed in a sleep lab is expensive and inconvenient, so patients are likely to postpone having them done. The result system-wide health problems and avoidable accidents caused by lack of sleep. 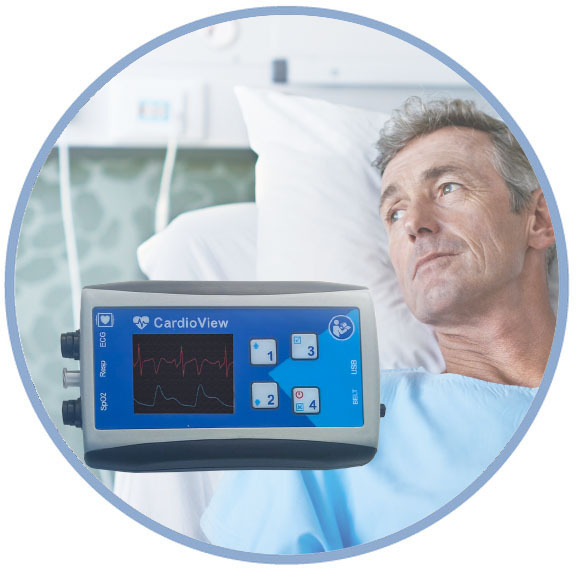 CardioView SleepStudy offers a solution to this problem, making it easier to monitor sleep both in and out of the clinical setting. Our integrated solutions encompass remote home and in-lab PSGs, home sleep apnea testing (HSAT), portable recording, HL7, and remote access to meet the demanding requirements of the sleep industry. How does it work? The SleepStudy device collects physiological data from a patient through comfortable, noninvasive sensors and transmitted in real time to the CardioView Server using Wi-Fi.